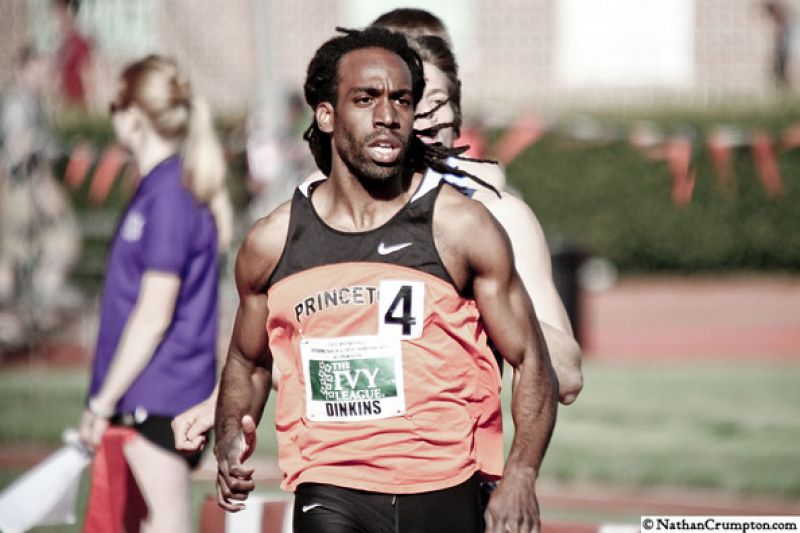 My name is Russell Dinkins and I'm a US Track and Field Olympic hopeful in the 800m who is raising money to fund a 4-month long training trip to Iten, Kenya. 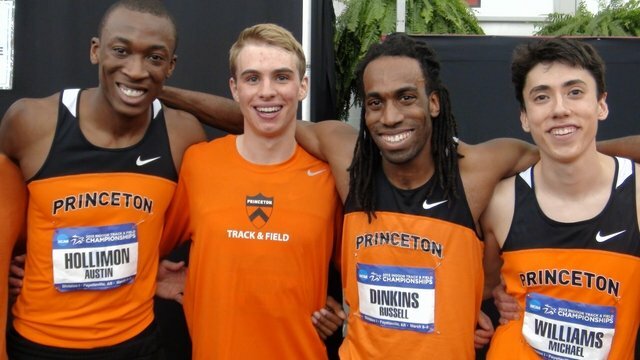 I had a successful track career running the 800m at Princeton University, winning multiple individual conference titles, representing Princeton numerous times at the NCAA level and winning an NCAA Championship title as a member of Princeton's Distance Medley Relay. Since graduating, injuries have halted the athletic progress I established in college. For the past year and a half instead of moving forward with my track career I’ve been rehabbing my injury, making huge personal and financial sacrifices by travelling throughout the Northeast to seek out the best medical personnel I could find. With my injury woes finally behind me, I am now looking forward to making my dream of representing the USA on the Olympic stage come true. This fall, I plan to travel to Kenya with my former conference rival turned training partner Daniel Thomas, a Cornell University alumnus, to train at altitude for a period of 4 months at the world-renowned High Altitude Training Center (HATC) in Iten. Several of the world's best including Mo Farah and David Rudisha train at this training center due to it's high quality and placement at 7,000ft+ altitude. With only one year to prepare for the 2016 Olympic Trials and Games it is important for both Dan and I to do everything right and to place ourselves in an environment that will allow us to develop to an elite level. Going to Iten will provide us with that opportunity as we will be able to focus all of our energy on our development. Iten also provides the perfect training environment as the air is pollution free, there is an extensive soft-clay trail network and the temperatures are comfortable year-round. It is my hope that you will support this campaign as we embark on this journey of athletic and personal development. Your support means the world to us so any contribution you can make to either or both of our campaigns (click here to go to Dan's campaign page) will be sincerely appreciated. Thank you so much for your support! Here's to Rivals coming together to achieve THE DREAM! I just wanted to take a moment to thank all of you for helping to support me in my quest to run at the 2016 Olympic trials and compete for an opportunity to make the team. As many of you know, while I made tremendous progress, I ultimately ended up missing the Olympic trials by .37 of a second. It was truly bittersweet in that I accomplished so much and had come so far, and yet ultimately, just missed out on my goal. It was tough, heart-wrenching even, to put so much of yourself into something and to not get the result you desired. But that's life. And sometimes, you just have to be patient. Sometimes, your efforts are really preparing you for something down the road. A year later I find myself in a much different position as have secured automatic qualification to the 2017 USA Outdoor Track and Field Championships. A year ago I was unsure of if I wanted to continue training; I was unsure of what a potential future in running would like like for me. Since then, I've had the opportunity to race in many different places and have grown as an athlete and as a person. Unbeknownst to me at the time was that the experiences I had last year, the strides I made, and the lessons I learned, would become the foundation for this year, which has been the most successful track and field season of my life thus far. 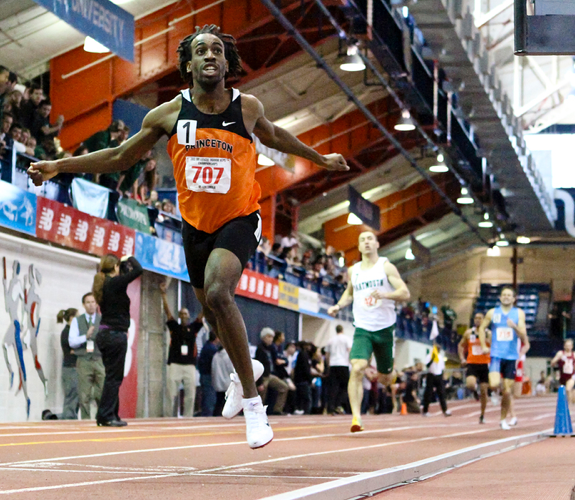 This winter, I qualified for the 2017 USA Indoor Championships where I ultimately placed 4th in the 600m, running the 10th fastest indoor time in American history. This outdoor, I've run 1:46 twice, a time nearly two seconds better than my college personal best. I truly believe that all of the hills that I ran in Kenya in the fall of 2015, all of those hour long ab sessions with the Kenyans, all of the repeat 800s I did on the track in Iten, all of the races in ran in 2016, and ultimately the disappointment of falling short of the trials by the slimmest of margins, all of those experiences, I believe, have made 2017 possible. I am so thankful for the opportunity you all afforded me to pursue my dreams and to explore what's possible. This Thursday I run in the first round of the 800m at the 2017 Outdoor Championships. I hope to earn my way through the rounds and into the final, where every entrant will have the opportunity to earn a berth to the World Championships. I am thankful and humbled to have the opportunity to compete with some of the best athletes in our nation. I'm excited and am looking forward to competing to the best of my ability. All I've wanted was an opportunity to do that best that I can and in sport and in life, sometimes all we need is an opportunity to see what's possible. Thank you all for helping to provide me with opportunity. Now it's time for me to see what's possible. I just wanted to thank each and every one of you for supporting me last year in my quest to qualify for the 2016 Olympic trials. As many of you know, I made a valiant effort but just missed qualification by a few spots. I was heartbroken but I decided to keep running and to see what happens. I didn't really have an expectation for the 2017 indoor season, I just wanted to get out there and if things went really well, try to secure qualification for the USA Indoor Championships. Well, I secured qualification for the USA Indoor Championship and am now ranked within the top-10 in the US in the 600m. Looks like I'll be booking flights and a hotel to Albuquerque! Below is a post I posted to my Instagram that I thought you all would like to read. None of this would have been possible if it wasn't for your support last year! Thank you all so, so very much. You all are part of the reason why I continue to push. Thank you! Yesterday I ran in my first individual professional indoor race. It's not often when we as athletes exceed our expectations as we are prone to imagining the best possible outcome for ourselves: we unabashedly aim for the seemingly improbable, the lofty. Yesterday I was hoping to run 1:16 in the 600m after running 1:17.78 last week. I envisioned myself running 1:16.9 or 1:16.8, or, if things went really well and if I leaned really hard, maybe 1:16.7. Yesterday, I surpassed those envisioned times to run 1:16.40 for 2nd place, which is currently ranked #7 (#5 amongst post-collegiates) in the US and represents my first top-ten mark. Before yesterday I wasn't sure if I wanted to compete in the USA Indoor Track and Field Championships even though I had already qualified last week. Now, I am sure that I owe it to myself to go there and to see what's possible. I'm so grateful for how I'm progressing but I can't forget that it wasn't too long ago when I was unsure if I would be able to recover from my injury. For all of 2014 and most of 2015, I was beset by injury. In college I was never a top-ten performer, I was always just outside of it, someone who was close to, but and not quite among the elites. But I felt that I had the potential to be. After I graduated I decided that I was going to go after track with a level of focus that I didn't have when I was in college. But then I got injured and I didn't have the opportunity to explore what was possible. For the past few years, I've worked hard, through doubt and uncertainty, to become healthy enough to explore what was possible. All I wanted was the opportunity to explore the possible while simultaneously reaching for the improbable. I now have that opportunity, and to be honest, exploring what's possible is as scary as it is exciting. It's funny, after just missing the Olympic Trials last year, I wasn't sure if I wanted to continue running. I decided that I might as well continue pushing while I'm young and able. I'm glad that I decided to continue to give myself an opportunity. Now, it's time to explore what's possible. It's been a very long time since I've given you all an update so I figured this is as good of a time as any. Before I get into the update I just wanted to thank you all for being so supportive of my goals and for helping to make this journey one of the most amazing experiences of my life. So quick recap: I was in Kenya for 4.5 months and I came back to the US in February. Since then I've been training with my former college coach in Princeton, NJ. As some of you know, the process for getting on the US Olympic team in Track and Field is placing top 3 with the Olympic standard at the US Olympic trials. Right now my primary goal is to secure my spot in the Olympic trials. After I secure my spot, I will work on my next goal which is to progress as far as I can through the meet. At the Olympic trials they accept up to 32 entrants per event: right now I’m just outside of that number. Over the past several weeks I have been making huge strides forward with regard to my training and my performance given the setbacks I’ve endured. In April and part of May I suffered a hamstring injury that kept me out of training for about a month. In order to get back on track I saw two specialists, one in Tom River, NJ and one in Fort Lee, NJ each week. In order to make the journeys, I rented the CarShare a couple times a week since I don’t owe my own car. Since April, I have been making the trips to Toms River and Fort Lee (over 200mi of total driving) each week to ensure that I can keep training at a high level. Thanks to the work of the specialists I’ve been seeing, I was finally able to start running again the week of May 16th. Ideally, I would have taken a few weeks to slowly build up my training but unfortunately I did not have that luxury as I needed to start racing. So on May 22nd at the end of my first full week of running, I ran my first outdoor race in 3 years. May 22nd was the start of my season and the deadline to submit a qualifying time for the trials is June 26th. One month and two weeks, that’s all the time I had left to qualify for the trials. Faced with that reality, I decided that I had to go after it with all of my mental and physical energy in order to accomplish so much in so little time. Ordinarily training and racing are spread over several months: I had 6 weeks! Every weekend since May 22nd I’ve run a race, each time improving my mark. Last Saturday, 5 weeks after my first race in three years, I ran nearly my lifetime best. In college it took me years to get down to my lifetime best but now I’ve nearly better than mark in just 5 weeks’ time. Although I’ve made huge strides I still haven’t run quite fast enough to secure my spot at the Olympic trials, though I am getting closer (right now I think I’m ranked 37th). This week is the last week available to me to improve my marks in order to get into the trials. I’ve worked so hard over this past year and despite less than ideal circumstances dealing with body issues I’ve been able to accomplish a great deal. Still, the fact that I have yet to secure my spot at the trials really started to get to me this weekend and confronted with the reality that I only have one week to accomplish my goal I began to wonder if it was even worth it to continue trying. But then I thought about everything I’ve gone through, everything I’ve sacrificed, how far I’ve come and how many people have supported and believed me along this journey. I owe it to everyone and ultimately I owe it to myself to keep pressing forward. Instead of focusing on the distance I’ve travelled and my momentum, I was focusing on the goal and the distance I needed to cover in order to get there. In times like this it’s important, at least for me, to focus on how far I’ve come and to be motivated by that: to be motivated by the fact that I’ve persevered when things got tough before. So I allowed myself to only be sad for a moment. After that moment passed I decided that I am going to go full throttle this week in order to give myself the best shot of qualifying for the trials. In order to give myself the best opportunity I decided to race twice this week. After chatting with a number of other athletes and coaches I found out about an international meet with great competition in Halifax on Wednesday (tomorrow). I got in touch with the meet director and fortunate for me he is allowing me to compete in the meet even on such short notice. Given that tomorrow is such a great opportunity to improve my mark and qualify for the trials, I have decided to just go for it. As I write this I am on the train headed to airport for the meet. It’s been a crazy whirlwind these past couple of days but I decided to keep pressing forward! In addition to the meet in Halifax, I’m also scheduled to compete on Saturday in Philly but hopefully I run fast enough tomorrow to make Saturday’s race unnecessary. I will keep you all updated as to my progress and will hopefully have some great news for you all come tomorrow evening. So proud of you Russell!!!!!! Biggest fan as always! If there is a link to see you race live please let me know!!!!! We'll keep praying for you Russell. Keep going! So proud of all you have done on this journey. Sending all positive vibes your way! Glad you are going for your goal! Enjoy your journey!!! Sending tons of love and support your way!! Go Russell!! !